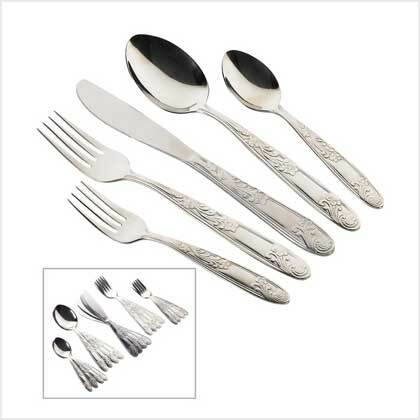 Home :: Knives, Untensils & Flatware :: Professional Knife Set - FREE SHIPPING! 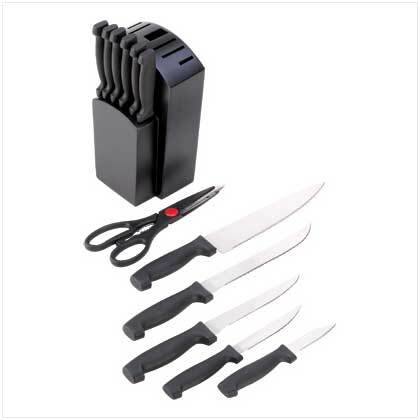 Be prepared for any kitchen task with this professional style knife collection! 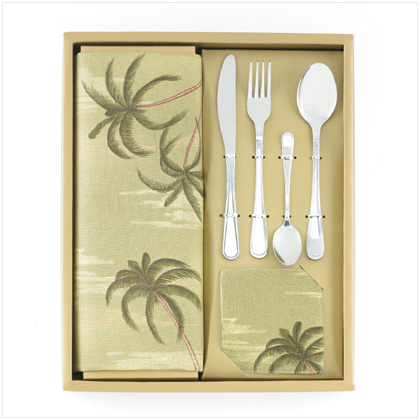 Inspired by the top chefs of Europe, includes a five heavy-duty prep knives, plus shears and six steak knives, all in a handsome custom block. Weight 5.5 lbs. Stainless steel full tang blade with plastic handle. Wood stand. 8 1/8'' x 5'' x 13 1/2'' high. Set. 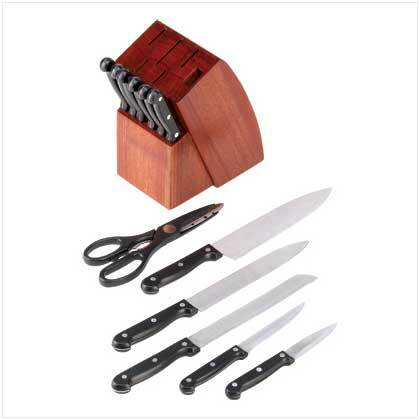 Notify me of updates to Professional Knife Set - FREE SHIPPING!